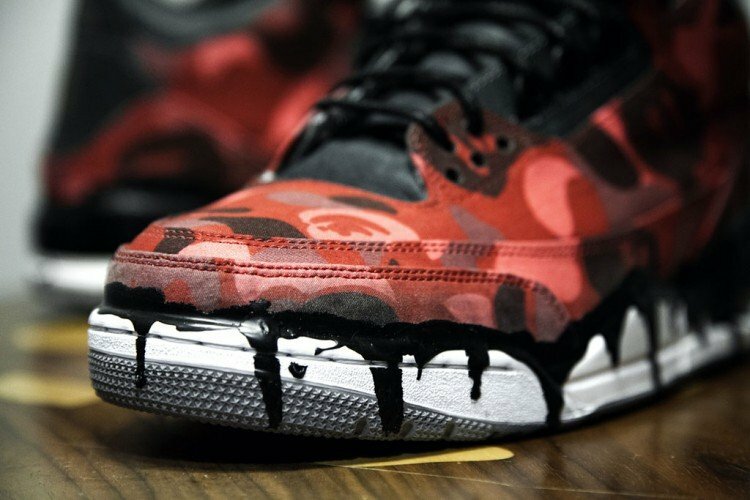 Jake Ferrato’s JBF Customs continues innovating the sneaker game, now dropping off a new customization project using the iconic Air Jordan 3 as the canvas. 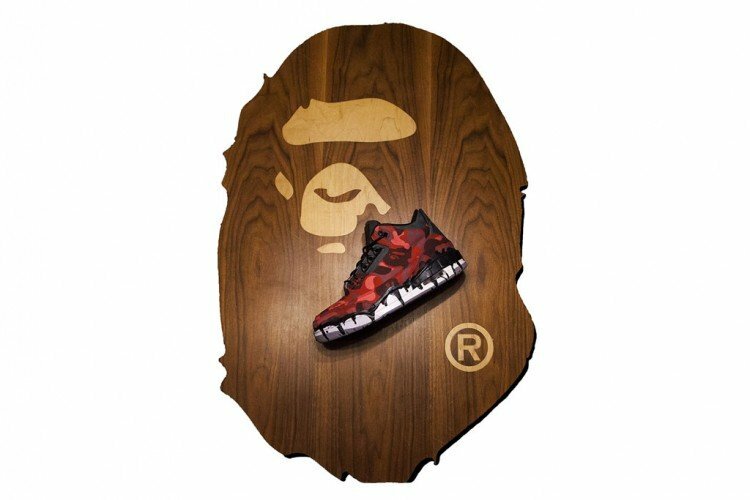 Following the footsteps of last year’s custom BAPE Air Force 1’s, JBF decided to dress the AJ3’s up with the popular red Ape-camo print over the entire upper with black paint-style drips along the white midsoles, inspired by the Ice Cream brand. 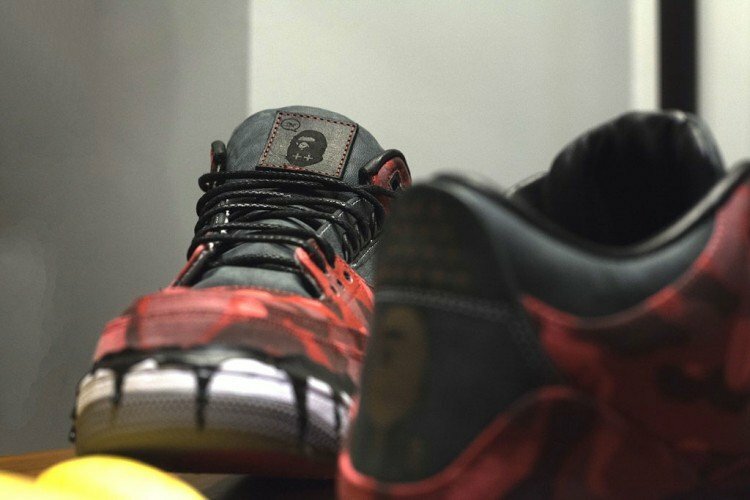 The shoe also includes the Ape-head logo branded on the tongue and heels. 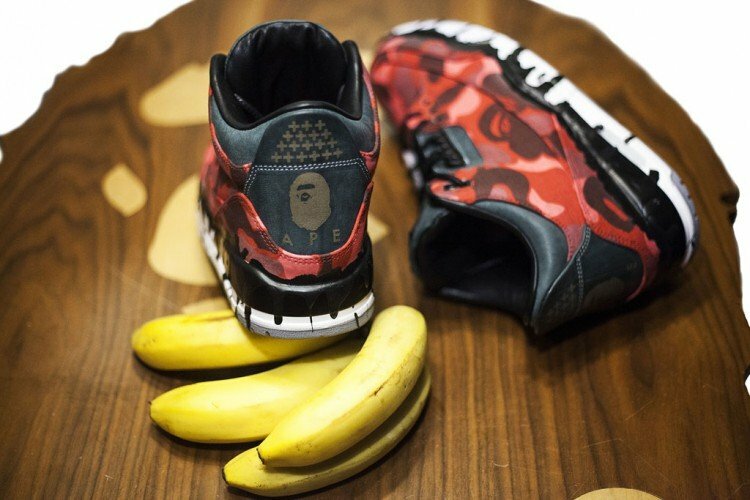 Unfortunately the BAPE x Ice Cream Air Jordan 3’s are a 1-of-1, but if you want to grab up any of Jake Ferrato’s other work head over to the JBF online shop.